A view of one of the narrow passageways created by rain rushing through the sandstone making the corridors narrower and narrower. 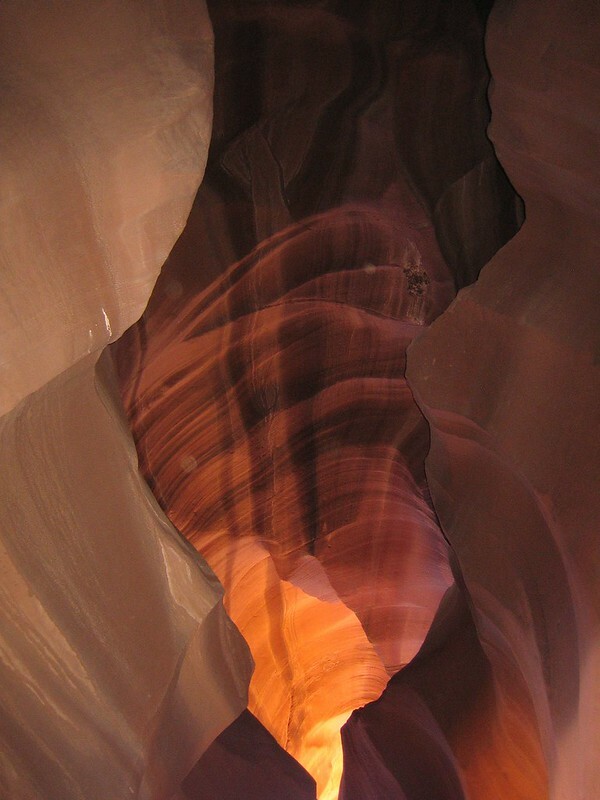 While I was spending several days in Page, Arizona area in the fall of 2007, I toured Upper Antelope Canyon. We were loaded into the back of a pickup truck with bench seats which could seat approximately eight people. Once we were inside the canyon, I couldn’t see the settings on my camera and accidentally chose a setting that did not provide the correct exposures. Thus my photos are not of the best quality. I know, “Excuses! Excuses! Excuses!” I mutter to myself. Page, Arizona, is far, far off any major interstate so traveling there requires extra time and patience.